H2O—It’s the most essential component to human health, vital to almost all of our body’s most complex functions. 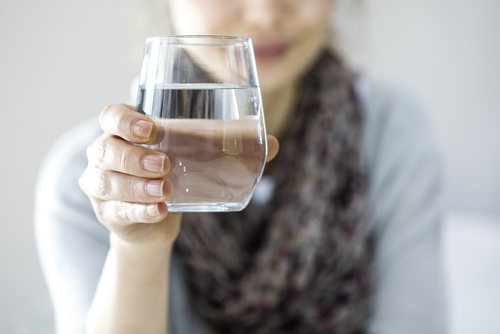 We need water to help regulate our body temperature, protect our tissues, digest our food and lubricate our joints, yet about 80 percent of people say they’re not getting enough of it. And, on top of that, water alone isn’t enough. 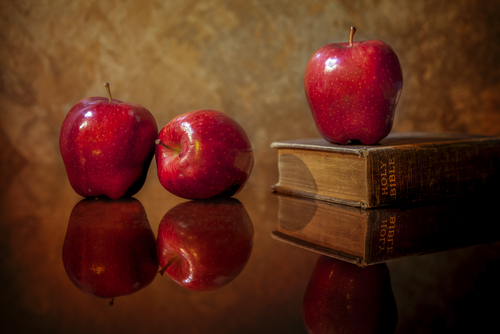 The body needs vitamins, minerals and nutrients as part of a healthy, preventative diet. For those of us with busy lives, it can be hard to ensure that we’re meeting our daily nutrition and water requirements. At Hallelujah Diet, we strive to simplify your health and nutrition goals, and one of the ways we’re doing that is with the HydroBoost Kit. This kit comes with Trace Mineral Drops and Willard WaterÒ, two of our formulas designed to help you drink better water every time you take a sip. These products essentially help you supercharge your H2O with additional minerals and pH-balancing components that add nutrition. Willard Water is an Hallelujah Diet water formula designed to increase the pH of your distilled water and alter the structure of the water so that it absorbs better into your system. Adding the complete formulation to your regular water boosts its pH above 9, which gives it a more alkaline structure and transforms it into alkaline water.Why does pH matter? 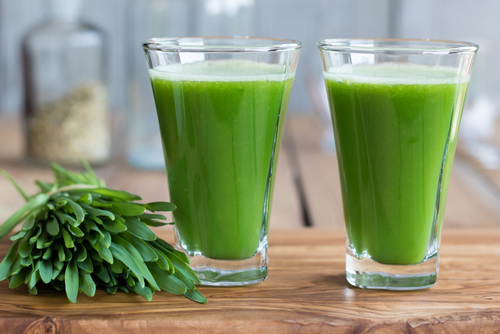 When water has a bit of alkalinity, it’s better able to buffer acids in your body that provides support to your digestive system, circulatory system and immune system. Studies have linked alkaline water with treatments for high blood pressure, high cholesterol and diabetes. But this isn’t your typical alkaline water. Willard Water also alters the structure of your water so that it’s easier for the body to absorb, so it’s a good option for those who want to provide extra full-body support. What Are Trace Mineral Drops? Another component of the HydroBoost Kit is the Hallelujah Diet Trace Mineral Drops. Adding minerals to your water is good for a variety of reasons, including general health as well as improving the taste of the water. The formula is ideal for those who want to add magnesium and other absorbable minerals to their diet. 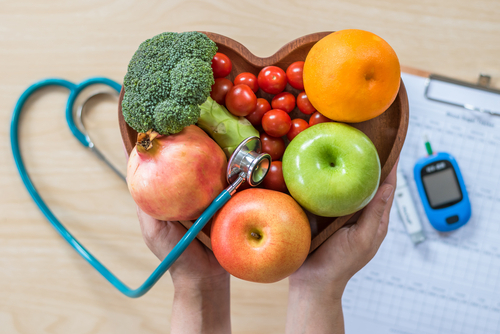 As you may know, magnesium is the fourth most abundant mineral in the human body and is important for helping us balance calcium in order to prevent blood clots, muscle contractions and nerve signaling. Magnesium is also an important mineral for helping to support mental health, as deficiency has been linked to anxiety and depression. Using Hallelujah Diet Trace Mineral Drops regularly also supplies you with a nutritional amount of lithium, which is very beneficial in small amounts for mood stability and brain health. Additionally, this formula supplies more than 70 ionic trace minerals derived from inland seawater, with 99 percent of the sodium removed, so it’s a healthy way of getting minerals without unnecessary salt consumption. Because of Willard Water’s ability to improve absorption, these two products work amazingly well together and will bolster one another when used in unison. 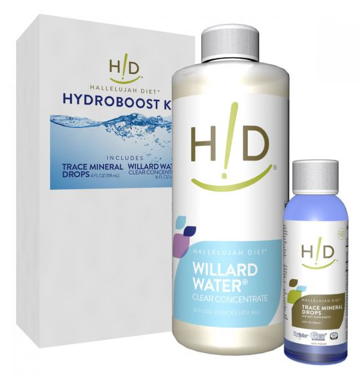 In addition to Willard Water and Trace Minerals, the HydroBoost Kit comes with a four-way measuring spoon that helps you mix large quantities as well as a pipet for measuring out Willard Water one glass at a time. To use the HydroBoost Kit, start by shaking water to dissolve carbon dioxide, increasing the alkalinity of the water. Next, simply add two drops of Trace Minerals (using the lid on the bottle) and 14 drops of Willard Water (using the included pipet) to an 8 ounces cup of water. You can also whip up a full gallon of enhanced water using 20 drops of Trace Minerals and slightly less than 1 teaspoon of Willard Water. 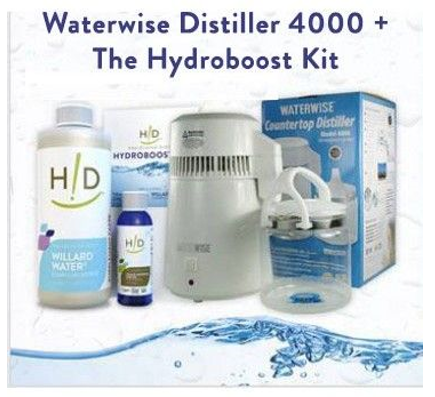 To make enjoying your water even easier, we also sell this kit as part of the WaterWise 400 with HydroBoost Kit, which not only includes Trace Mineral Drops and Willard Water, but also comes with a water distiller so that you can enjoy fresh, distilled water anytime! This is a very important blog concerning the water we drink. Many of us don’t understand the importance of replacing the minerals in our water. It is very important to begin with water that has been distilled properly. Especially the need for replacement of the magnesium in our water. Magnesium is also very important for mood stability and your brain health. If for no other reason the Hydroboost Kit is necessary for our health where the purity of our water is concerned. Thanks for this information. Great advice for how to put our nutrients back into our distilled water!